Being a homeowner can be exciting and fun at times, with lots of freedom to make it your own space but it also comes with responsibilities. When something breaks, it’s not an easy call to a landlord to fix it. You’re the one in charge of any repairs, maintenance, finances, and improvements over the long haul. 1) Create a home manual JUST for your home, not for anybody else’s. Get a large binder with clear plastic pockets to hold important documents about your home and its systems, plus owner manuals; service records; warranties; the age of your roof, furnace, water heater, washer/dryer, refrigerator and other important appliances; even include paint colors and other decorating information; receipts for furniture. Don’t forget to include any landscaping work and how to care for your plants, shrubs, and flowers. 2) Maintain an updated list of phone numbers of your plumber, electrician, utility company, landscaper, HVAC etc so you can contact them quickly when needed. Also keep notes on each of their visits and get second opinions for larger repair or replacement recommendations. 3) Keep records and receipts of your home improvement and maintenance costs so when you sell, it shows where you have added value and what you’ve done to keep up your home. Several types of improvements also can qualify for tax incentives so be sure to share the receipts on a yearly basis with your CPA. 4) Keep a realistic pace and budget for buying things you need for your home. Having a home means there’s always a long list of big and little things you need to buy or want to upgrade, especially if you’re a first-time buyer. The list could go on and on — from window treatments, lawn mower, rakes, cleaning supplies, vacuum, a sectional couch, deck furniture, lamps, etc. You’re going to grow with this home so make a plan and a budget. If you do need to buy, then shop for sales, bargains, flea markets. Buy off season or at the end of a season for major savings. For example, you can get a great patio furniture set in September! 5) Have an emergency fund for any unexpected costs. No matter how well your home has been taken care of by you or the previous owner, there are going to be some unexpected surprises, so be prepared. Something will break and you won’t be able to delay fixing it – a cold winter night and your furnace stops working, a tree falls on your house, or a baseball goes through one of your windows. Expect the unexpected!! 6) Cut the costs of utility bills by conserving how much heat, electricity, A/C, and water you use in your home. You’ll save the planet and your wallet! Turn down your heat and wear sweaters in the winter; and set an automatic thermostat at an efficient temperature in the summer and winter months. First-time homeowners can contact their utility companies for an estimate on rates for each month of the year to help with their budget. 7) Hire an accountant so you know how to prepare your taxes correctly and can maximize your refund and get the deductions you deserve. Even getting them done by a professional one time is a good idea since you’ll have a template for future years. You may learn you’ll get tax credits on energy efficient appliances, etc. 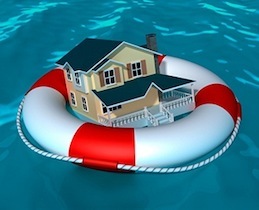 8) Make sure you have enough homeowner’s insurance and it doesn’t miss anything like flood and fire protection. Also take out life insurance coverage so your family won’t lose their home. Ditto on having disability-income insurance so you can stay in your home. 9) You never want to ignore any problems or damage you see in your home. A minor problem can turn into a big, more costly one before you know it! Consistent, regular maintenance of your home is important to combat the usual wear and tear and also any severe weather conditions such as flooding, snow, ice, and heat. See our blog about Fall Maintenance. 10) Create an inspection list and go through your home twice a year, once in the spring and once in the fall, to check on the condition of each item. You don’t need to hire an inspector, you just need to have the keen eye of one just like when you bought your home. Your list should include both inside and outside items: roof, windows, foundation, gutters, attic, insulation, HVAC, chimney, driveway, and etc. Look for damage from water leaks, mold, and pests such as termites, mice, squirrels, rats. Flag any key life expectancies when you conduct these inspections so you can examine more carefully near that time. For example, your roof can last 15-20 years if it has asphalt shingles, or up to 50+ if it has slates. 11) Know your major appliances – such as fridge, stove/oven, dish washer, washer/dryer — and how they work, how to maintain them (like changing your filters), who to call for repairs, and how old they are now and their life expectancies. How long they last depends a lot on your care of them and also your specific product. For example, a fridge can last from 9-13 years; air conditioning unit from 8-15 years, a water heater 10-11 years. Again, keep all owner manuals and other necessary receipts in your home binder for easy access. 12) Buy tools you’ll use regularly to maintain your home and to make minor repairs. Every homeowner should have a tool box but don’t go out and buy something you may only need once; you can sometimes rent or share the cost with friends or neighbors. Experts say you should buy tape measurer, utility knife, four-in-one screwdriver, hammer, putty knife, saw, wrench, pliers, drill/driver. Every homeowner usually goes through a tube of caulk each year. 13) Learn some basic DIY skills that can save you time and money on repairs. There’s lots of information out there on the Internet and YouTube with basic how-to’s on just about everything from how to unclog a drain to how to patch a hole in the wall. Consider taking some classes at your local hardware store. You can save so much per year if you can do some of the basic repairs and upkeep yourself. 14) Hiring a qualified contractor or handyman for bigger or more complex jobs. You want your larger repairs and upkeep items to get the level of care and expertise you expect so you can maintain the value of your home. If it’s something more complicated than a clogged drain, for example, maybe that’s where you draw the line on the DIY. 16) Live in your home for a while to get a feel for the ebb and flow of it, which can help you decide what furniture you really need and what will function best in the space. There’s no harm in some empty rooms or a drafty corner for a while! And if you plan to eventually remodel, this time is well spent on learning how your family actually moves about your home. And again, budget and pace yourself with your purchases of furniture, window treatments, and accessories. 17) Paint is a cheap, quick fix-up. A fresh cost of a $30 can of paint will completely transform a room. Enough said! 18) Having neighbors as a homeowner can be very different than when renting — you want to forge a good relationship with them since you may live near them for a long time. You don’t have to be overfriendly if that’s not your style but neighbors can be a good source of information about the community and help you out when needed (borrow that shovel you never bought in time or an onion for that chili recipe!). 19) Do what you can to help to create a positive community feel to your condo, street or neighborhood and make it a place you will love to live in. Get involved and attend your condo meetings, help host an annual block party on your street, or hold regular summer happy hours, etc. Plus, having a great community feel can be a good selling point when the time comes. 20) Sign up for a neighborhood listserv or community blog to get all the inside information. You’ll know what’s going on in your neighborhood (someone just spotted a fox!) and get recommendations for a handyman, plumber, mother’s group, or even a piano teacher. Plus, they may be a source of entertainment at times! Phew … that was a lot! Keep these tips in mind so your home will run smoothly and you will hopefully avoid any mishaps! I was attracted to Dwell Residential because it is a boutique firm that specializes in a single market, Washington DC, and places great emphasis on identifying the “possibilities” for each client. After my experience with Dwell Residential Brokerage, it is “the force to be reckoned with” in DC.